All Doors Shut for Chandra Babu says Amit Shah | Chandra Babu News All Doors Shut for Chandra Babu says Amit Shah: BJP Chief Amit Shah made some sensational comments on AP Supremo Chandra Babu Naidu saying that all the doors are shut for Naidu and called him an opportunist. 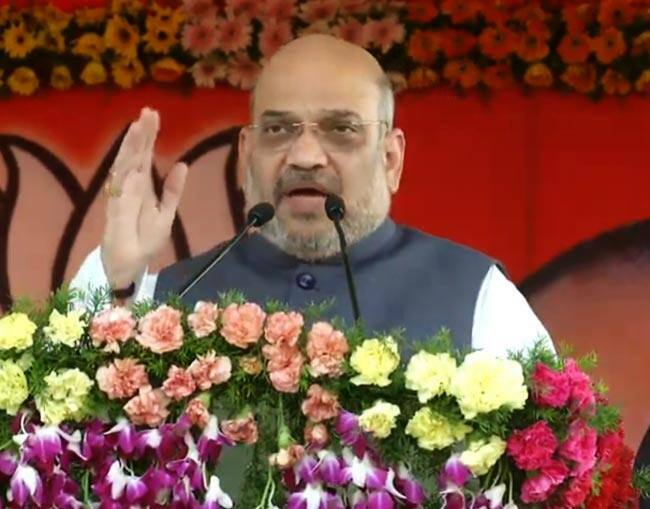 All Doors Shut for Chandra Babu says Amit Shah:- BJP Chief Amit Shah participated in a massive political meeting in Narasaraopeta last evening. He made some sensational comments on AP Supremo Chandra Babu Naidu saying that all the doors are shut for Naidu and called him an opportunist. Shah's speech targeted Chandra Babu alone and said that NDA would never give him an opportunity again. He said that Chandra Babu will sure attempt to get back to NDA for sure and this time NDA would never allow him to join their alliance. "The doors for Chandra Babu Naidu are permanently shut to join back NDA alliance. He created a drama with the negative wave and walked out of NDA alliance. BJP kept their promises made in the AP Reorganisation Act. It was Narendra Modi who made everything possible for AP but Babu wanted himself to be credited for everything. Chandra Babu did nothing for AP and he only promoted his Nara Lokesh. NDA will form the government once again and will form the government without the support of regional parties like TDP" said Amit Shah.